There are now four spacecraft docked to the International Space Station after the Cygnus left Friday morning. 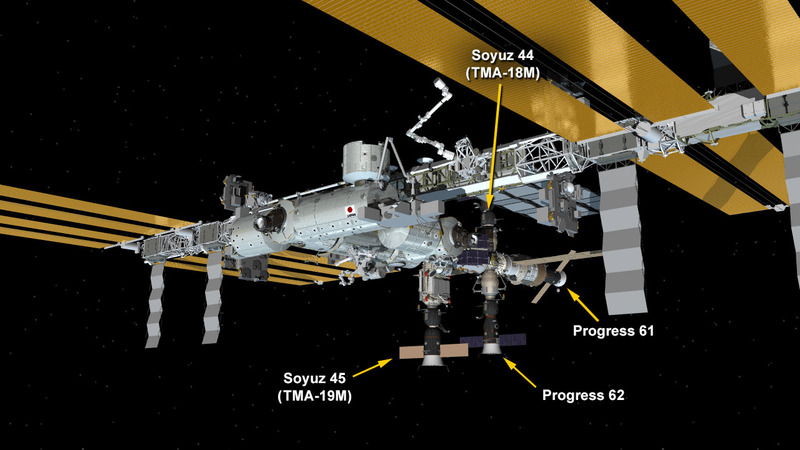 The next spacecraft to leave will be the Soyuz TMA-18M docked to the Poisk module on March 1. The Expedition 46 crew took out the trash today when it released the Orbital ATK Cygnus spacecraft from the grips of the International Space Station’s Canadarm2 robotic arm. In less than two weeks, another spacecraft will leave returning three crew members back to Earth. The Cygnus was filled with trash and discarded gear over the last few days before the hatches were closed Thursday. Ground controllers then remotely guided the Canadarm2 to grapple Cygnus and detach it from the Unity module. NASA astronauts Scott Kelly and Tim Kopra commanded the Canadarm2 to release Cygnus today at 7:26 a.m. EST when it began gracefully departing the vicinity of the station. Orbital ATK controllers in Virginia will guide Cygnus into the Earth’s atmosphere Saturday morning where it will safely burn up high over the Pacific Ocean. Kelly and a pair of cosmonauts Mikhail Kornienko and Sergey Volkov now turn their attention to their March 1 homecoming. They will be packing the Soyuz TMA-18M with science experiments and personal items for the ride home. Kelly and Kornienko will be completing 340 consecutive days in space, while Volkov will be wrapping up 182 days in orbit. Waste management is essential, even in the depths of Outer Space. Also for myself, Nasa is so great. I would like to say it over and over again. My life can’t tell without Nasa. It has turning into my daily routine without noticing, for sure. Hello Yoko! Hope all is well! GREAT!!!!! I am 82 years of age and I am too truly addicted to NASA. I spend almost all of my day trying to keep up to date with all aspects of this great organisation. To the three coming back, have a safe trip home. anyone know when he will get back to Houston?